Excuse the crappy cell pics and the aspen on the floor. 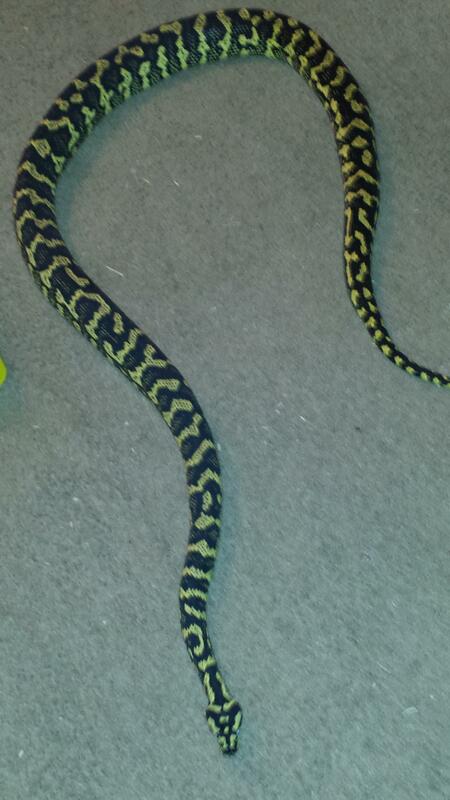 I took these two guys out last night while I did some cage maintenance and decided to snap their pics. I really want to get them outside in some natural light. These boys are both a touch over 6ft. The jungle was getting a little chunky so he's on a bit of a diet. Awesome. Ziggy, do you have just the 2? Do you have your eyes on more? I have 2 carpets, got my first one 2 years ago, and I just made myself a list recently of 6 total that I want. I currently have a caramel jag and gamma jag sibling that is high percentage jungle. I still want to acquire a diamond, bredli, albino Darwin, and a zebra. Don't know how many years it will take me as my wife is one of those who puts limits on me but I'll get there eventually! @ Clonez- I have a coastal, (2) jungles, an albino, and a Bredli. I really want one of the Gamma DJJs and maybe another coastal. 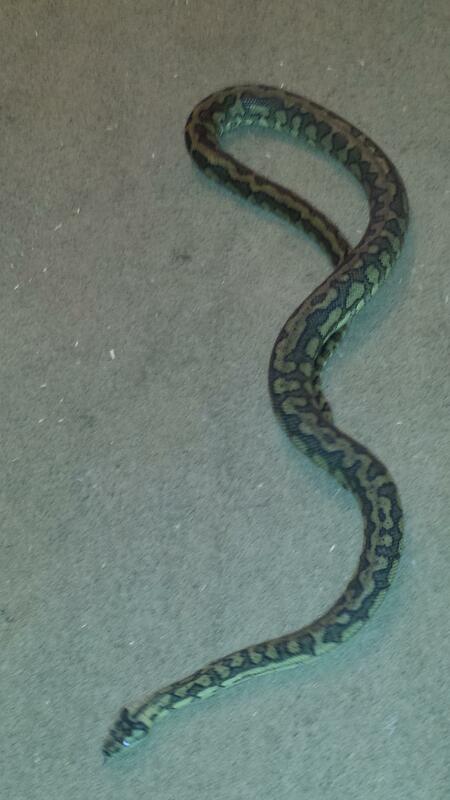 Needless to say carpets are one of my favorite snake species. Thanks for sharing Ziggy. 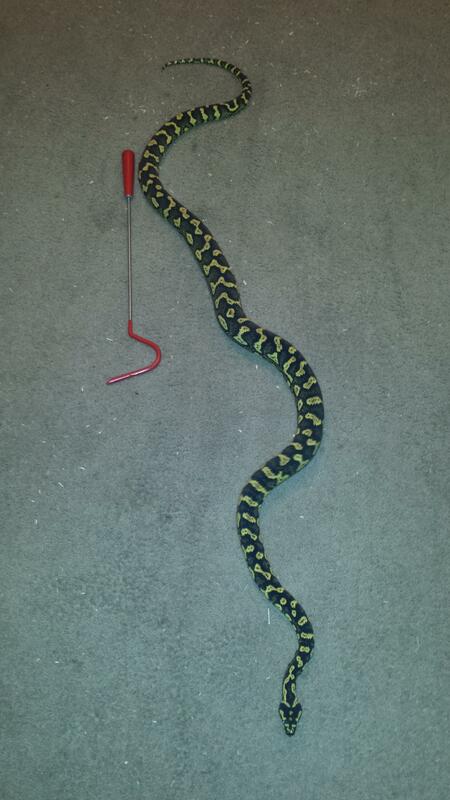 I always love seeing your collection, you have great taste in snakes. this is my female jj x jcp. she's a pretty little mutt to me. Is it true Cheyni carpets often had diseases of mouth ? They say other carpets dodn't have such a problem. Can't say I've heard this nor has it been my experience. Getting settled into our new digs. Snapped a few pics of a few of the critters. Nothing beats a nice carpet if you ask me.